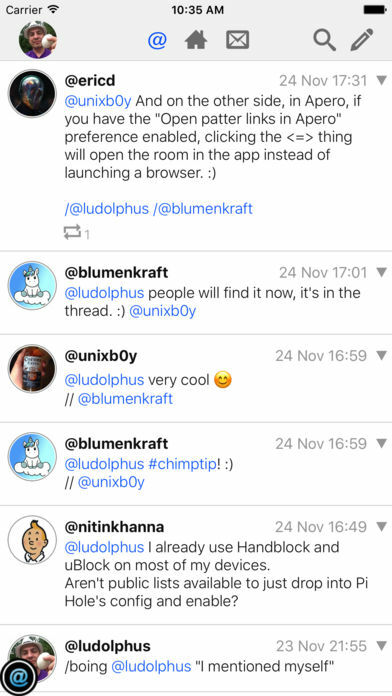 ChimPnut is a client built on the social network framework Pnut.io. It runs on iPhone, iPod Touch and iPad. Supports (multiple) image(s) in posts. 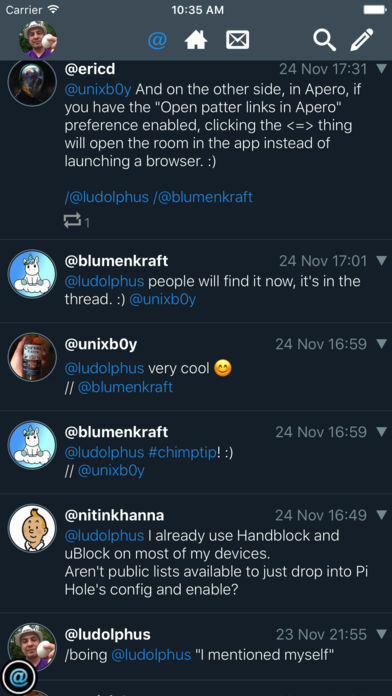 Private messages and Patter also have image attachment support. Check https://chimpnut.nl/ for more information.